There’s been a lot of disturbing news from Dr. Rewqust and Qashlet lab recently. The words, Mad Scientists, are being used again in an article by Veem Weazan of The Wet Lands News. It seems, Xuro Qashlet and his team of scientists are unconcerned about the consequences of their genetic code modifying experiments. I’ll let you read this alarming article. Dr. Rewqust and his team of researchers are reportedly engaging in numerous experiments involving genetic code modification and have been for some time. It has been reported to us that Xuro Qashlet, the owner of Qashlet lab, his instructed his team of unethical and unscrupulous scientists to do whatever is necessary to further their horrific research into genetic code restructuring. It would seem Mr. Qashlet sees monetary advantage in this pursuit. Their frightening work is under the umbrella of improving hatchling counts, which all Sesleans need. All coteries are plagued by low hatchling yields—some more severely than others. By means of DNA gene modifications, the lab is experimenting on un-hatched embryos. It is believed that the lab is attempting to alter the genetic code chain of embryos causing a new creation or frightening mutation. There have been reports of mutated embryos hatching while assuming grotesque forms. These horrific, mutated embryos don’t live long. “Many citizens fear these radical experiments will become a reality.” There are reports that these mutants are already surviving. If that’s true, they could become horrific criminals or worse, they could become mutated zombies, or grotesquely disfigured cannibals. What will we do then? This reporter doesn’t have to remind anyone of the effects of genetic restructuring when it comes to the sea doxer. Many wet landers are concerned that these experiments are having a similar result. As we all know, the many Sesleans that have mutated due to doxer fever are frightening, grotesque mutants and are confined to mental hospitals or asylums. Will Qashlet Lab produce evil, horrific mutants that our asylums and hospitals cannot control? Will they create mutants that attack and eat Sesleans? This reporter is fearful. This leads me to my final question that many coteries are asking. Are Dr. Rewqust and his team of scientists mutating embryos for profit without concern? Thus creating a more frightening and horrifying strain of mutants that our society cannot control? Are Dr. Rewqust and his scientists a team of mad scientists? Concerned citizens want to know. I want to know? J.A. again; there you have it. Many citizens of the wet lands and the desert are concerned about what the scientists at Qashlet lab might be creating. 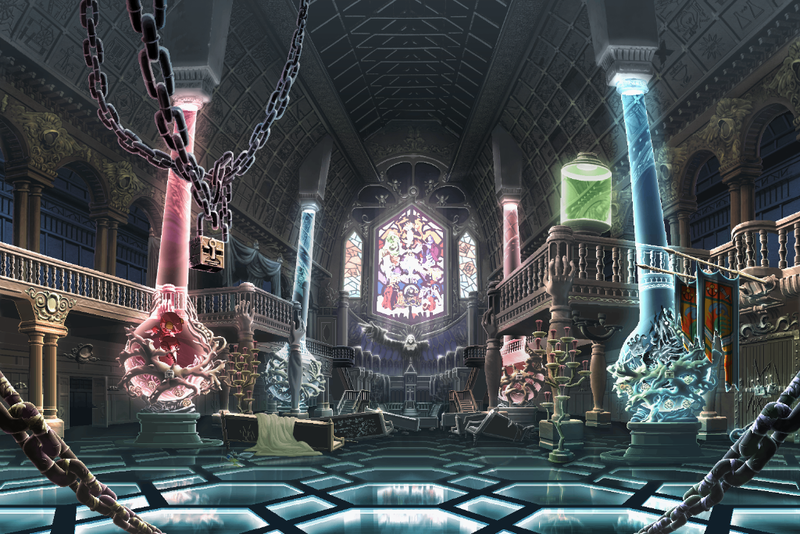 Rumors have circulated for years about a secret room where Rewqust performs genetic code experiments; this room has never been seen be anyone. It is mine, as well as other’s belief that the Gang of Five, the heinous mutant group with super intelligence, is a product of the mutation experiments of Qashlet lab; possible created in the secret room? If our suspicions are correct, what else will they create? The thought is horrifying. I’ll keep you informed of further developments. Until we talk again. I’m driving home from Guytic City after my meeting with Chief Editor, Vyll Pitmir, and roaming reporter, Veem Weazan at The Wet Lands News. We discussed how my reviews would be conducted and formatted for their newspaper. They were very easy to work with. Putting my book and movie reviews in their newspaper will be effortless. I’m at a roadside park on the desert highway heading back to Kinkorx. I’m taking a break to eat my lunch and gaze upon the vast, picturesque desert. I agree with my colleague, Maxx Zeqster. The beauty of Sesla’s flowering desert, with her multicolored sand and ageless stone formations, is enchanting. I’m reading yesterday’s printing of The Wet Lands News. I’m reading an article written by Veem Waezan. It’s about The Refsax Juysaw Company in Kvyutt. The Wet Lands News: Earlier today in Kvyutt, Refsax Juysaw, the owner of The Refsax Juysaw Company, was presented with another “Good Business Award” by the Chamber of Commerce there. This is just another in a series of awards that he and his giant contained water company have received for the generous donations. The organization, “Coteries for clean water on Sesla,” has recognized Refsax Juysaw numerous times in the past for his large contributions to their society, as well. He has stated many times publically, that he strongly supports the group’s work and will continue to do so in the future. At The Wet Lands News, we are grateful for Refsax Juysaw’s efforts to provide clean contained water for all of Sesla’s coteries to drink. We wish him the best of luck with his business endeavors. It’s J.A. The Refsax Juysaw Company has received numerous awards for its generous donations in the ongoing fight to purify the water to Sesla. Making the natural water on Sesla drinkable seems to be a problem that cannot be easily resolved. My break is over. It’s time to journey on toward Kinkorx. Until we talk again. I’m in a gorgeous room at the Syxzur Night Rest Hotel in Guytic City. The Duny Syxzur Company owns this deluxe night rest. The Duny Company is the inventor and manufacturer of the duny. Their hand held, text messaging devise, is very popular on Sesla. I own a DunyII myself. The Duny Syxzur Company is also the chief sponsor of Dream Quest, the very popular TV show on Sesla. I’m waiting to leave for my appointment this afternoon at The Wet Lands News. I’m meeting with Chief Editor, Vyll Pitmir, and roaming reporter, Veem Weazan. I’m meeting with them to discuss my movie reviews from Earth. I read another article in The Wet Lands News, by Veem Weazan, about a car theft ring. I’m reading more and more articles about the stolen cars in the wet lands recently. The Wet Lands News: Many wet lands coteries are becoming concerned that an organized car theft ring is expanding throughout the wet lands. Guytic City TV News and Kvyutt TV News have reported the recent increase in stolen vehicles in this area. Even though Chief Cuobyn will not confirm the existence of a car theft ring in the wet lands, many alarmed residents believe the crime ring not only exists, but is growing at an alarming rate. This is a story that The Wet Lands News will continue to follow and report on. I am reporter Veem Weazan. Reporting for The Wet Lands News. It’s J.A. I’ve recently read many articles in other newspapers as well concerning this alarming allegation. Could there be an organized car theft ring in the wet lands? If there is, who is the crime lord? I’ll stay on this story as it unfolds. It’s time to leave for my meeting. I’m interested to hear what Vyll Pitmir and Veem Weazan have to say about my movie reviews. I’ll let you know. Until we talk again. I read an interesting article in The Wet Lands News concerning the controversial research that Qashlet lab is doing. I thought I would share the article with you. I’m always concerned about their crazy research; they’re up to no good, as usual. 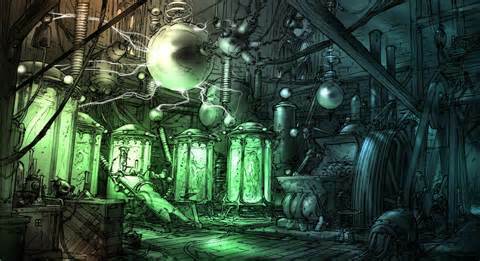 The Wet Lands News: According to Wet Lands News sources, Dr. Rewqust and his staff at the Qashlet Laboratories Facility in rural Guytic City are continuing with their very controversial experiments. These same types of experiments are illegal in the desert territories. The desert territory judges signed legislation into law that outlawed these types of research long ago. As of yet, the extremely controversial and questionable experiments involving genetic engineering are still legal in the wet lands territories. Earlier this week, The Wet Lands News roaming reporter Veem Weazan spoke to Dr. Rewqust in one of the conference rooms at the Qashlet lab about the alarming research performed there. Dr. Rewqust’s rage further erupted into an uncontrollable fury due to Veem’s strong objections. His eyes turned red with rage. He shook his head and snarled his lips due to his fury. “Reporters!” he said with disdain. “You’re all alike! So short-sided. No vision!” While in an uncontrollable rage, he stormed out of the conference room. Dr. Rewqust’s inability to control his temper appalled and shocked Veem. He was alone in the conference room inside the lab. Veem Weazan began his closing, “There you have it, coteries of the wet lands. Dr. Rewqust thinks his experiments are badly needed and does not feel they will cause any problems. He also seems to have a difficult time controlling his temper. It’s J.A. again. I hope I’m not scaring any of my Milky Way friends with this article. I have always found it very concerning what the Qashlet lab continues to do. I hope there aren’t any crazy labs there.